ComixLaunch celebrates its 150th episode with an all-new format. 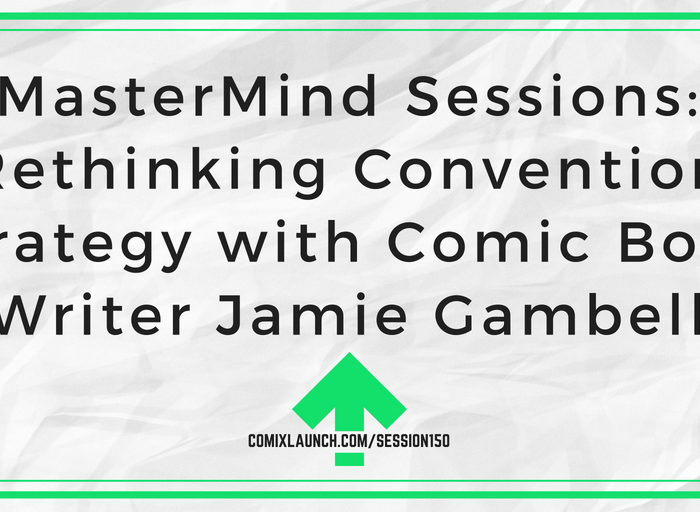 Welcome to the MasterMind Sessions, featuring creators Jamie Gambell, Dan Ekis, Will Allred & Geoff Weber, tackling real issues in a creator roundtable mastermind discussion. In today’s session, the group helps Jamie Gambell rethink his convention strategy for more fun and profit at his next convention. Plus: A bonus mini-lesson from Kevin Joseph about the unexpected power of telling that story that won’t go away. 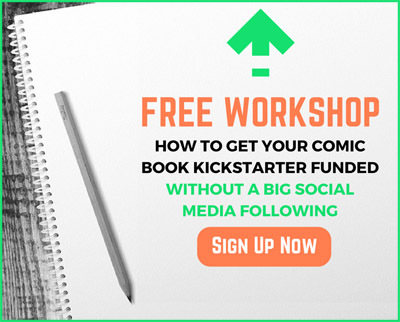 Want to Join a Comic Creator MasterMind Group This Summer? New groups are forming this month. Go to ComixLaunch.com/mastermind to find out more! Jamie Gambell is profession Production sound engineer for film & tv by day, and a comic book writer by night. His self-published work includes Omnitarium, The Hero Code & Department O. Jamie is also the host of the Who I Am Podcast, a fortnightly interview show which DISCUSSES WHAT INSPIRES, MOTIVATES, AND DRIVES the creator’s Jamie interviews. Geoff Weber is an artist, magician, inventor, teacher, husband, and father of 4 boys. He’s created art for gaming books by Skirmisher Publishing and for the multi-issue comic anthology series, Strange Tales from Spooktown. A number of his original magic tricks have been published as dvds and booklets. And he recently funded The Scientists on Kickstarter, his first graphic novel, inspired by his love of 80s sci-fi/adventure. Will Allred is a writer, professor, and technologist. He created and wrote Diary of Night for BloodFire Studios which recently funded on Kickstarter, contributed to the Eisner-nominated “Comics through Time” book on comic history, and multiple other academic books on comics, and is writing a second novel. Will received his Ph.D. in English from the University of Arkansas and is a longtime member of the nonprofit Grand Comics Database Project, having served for several years on its Board of Directors. Will is also a member of the ComixLaunch MasterMind, and I’ve been meeting with will monthly. 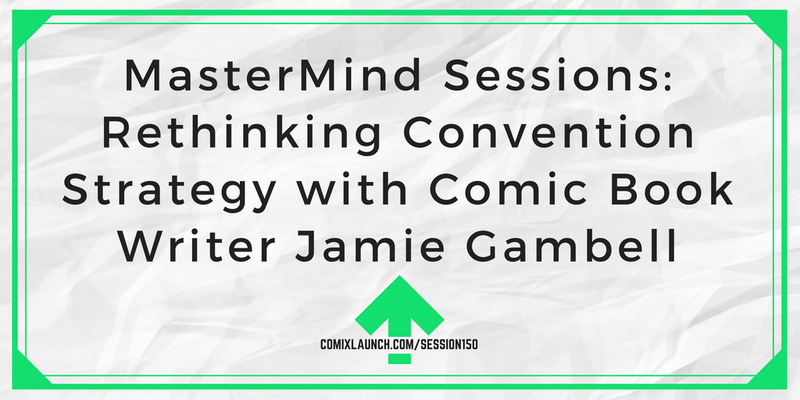 ComixLaunch MasterMind is re-opening for enrollment this month! Sign-up for the LIVE info session. 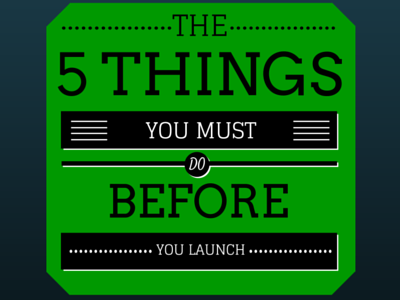 Who are the 5 people in your life you’re most likely to go to if you have a challenge in your creative business? On a scale of 1 to 10, how confident are you that you could get the counsel, support, and guidance you need for every challenge you face from that group of 5. 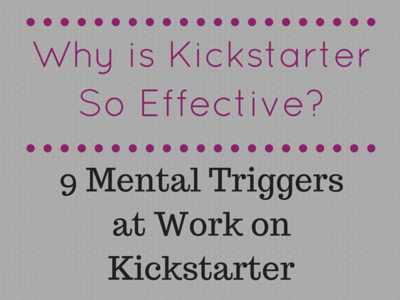 If you’re less than a 9, you might want to consider joining a mastermind.